Astad Deboo -the lord of contemporary dance is known to captivate audiences with his spectacular performances and creating a dance of his own by assimilating Indian and western techniques. He has created over 70 works in the span of more than four decades. He was the first contemporary dancer to perform at the Elephanta festival, Khajuraho festival and at the Great Wall of China. He was commissioned by Pierre Cardin to choreograph a dance performance and has given performances for the royal families of Sweden, Bhutan, Japan, Thailand and Presidents of India A.P.J. Abdul Kalam and Pranab Mukherjee. 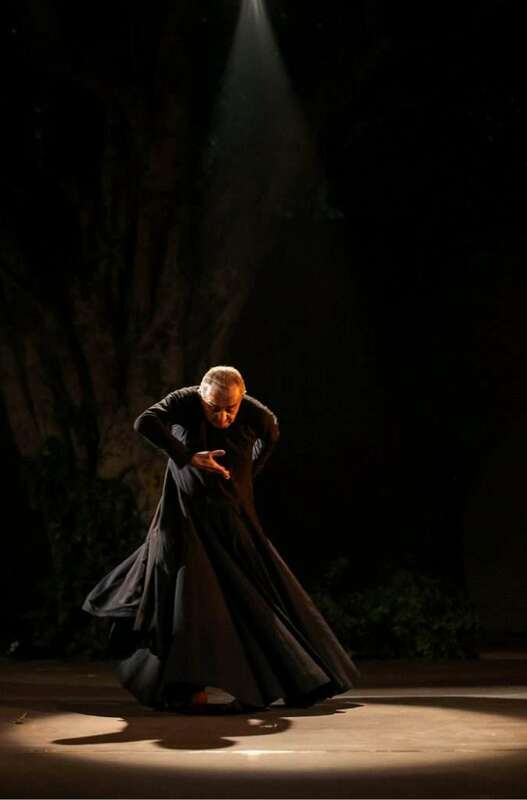 At 70, his fluid dance movements can put any young dancer to shame. This immense energy within him to continue his passion at this age is commendable. In a candid conversation, Astad Deboo shares what ignites the fire within him to create and recreate dance styles that are new to the world. At the age of 70, you are able to express with your body extraordinarily. What keeps you going? It’s been heard saying, that I am getting old (laughs). But, it’s also heard saying that audience leaves the stage wanting for more every time I perform. The passion and the fire are still there. Life goes under a lot of opposition, but it keeps me challenged. Some people say you have done so much, one cannot harp on that. I will keep doing, what I am doing. I stage 30 performances in a year and have appetite for more. I started learning Indian classical dance at the age of six and at 22 I was in London learning contemporary dance forms. I have been trained in the Martha Graham Technique and the Jose Limon’s technique in New York. In these four decades, I have evolved by learning different dance styles and created my own dance style. My dance style is minimal and controlled. 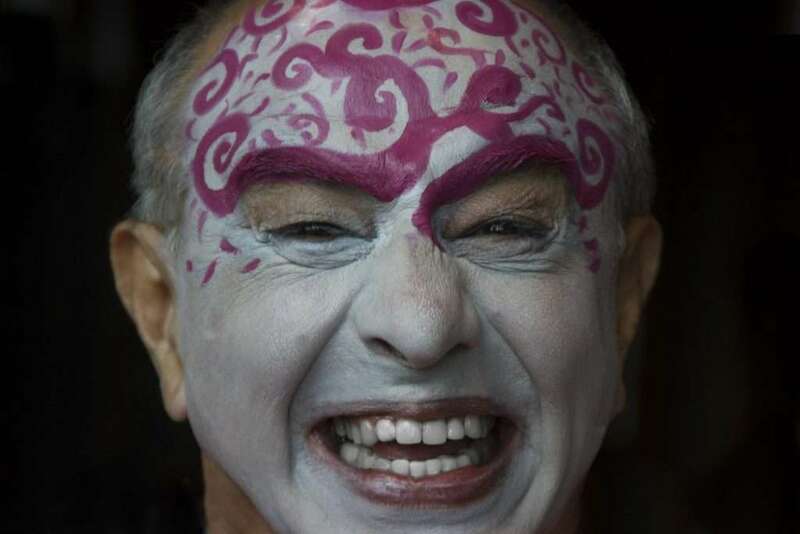 I incorporate Kathak, Kathakali and Butoh (Japanese theatre form) in my dance. I am also trained with Pina Bausch in the Wuppertal Dance Company, Germany and with Alison Chase of the Pilobolus Dance Company. How rewarding has been four decades of dance journey? In my journey there have always been surprises. As I began my journey as a solo performer way back in 1969, I left the shores of India in search of a language which I could inculcate into my body to create a style which is distinct. For a decade I was a solo performer. And then I felt restricted. As the gurus were not very welcoming, some of the students who may have wanted to come on board kept away. So, I started looking into the performing arts disciplines. Through last two decades, I have collaborated with various performing disciplines. I have worked with Dadi Pudumjee, Gundecha brothers, Pink Floyd, Tim McCarthy, Pina Bausch, Thang-Ta martial art group, Pung cholom dancers of Manipur amongst others. How fulfilling has it been working with hearing impaired children and street children? I have always been very much involved with the deaf community. I started my work with deaf in 1988, with the deaf theatre company The Action Players. They were primarily actors and to whom I introduced dance. Then I taught eight Bharatnatyam dancers from the Clarke School of Deaf, Chennai. They came into my life, when I had already been working with the deaf for 18 years. With this group, I was able to create a full-length 60 minutes solo work with them. And that was quite a fleet for them, but it was challenging for me too. Then I started working with street children of The Salaam Baalak Trust. I began a work with 16 young boys and girls from the street and my first creation with them was ‘Breaking Boundaries’. From there I selected eight young boys who joined me into my production “Interpreting Tagore”. Many of them now work with great masters like Dadi Pudumjee, Anupama Rao and others. Presently I am working with the deaf at Sheela Kothawala school for Deaf , Bangalore. They will be performing in 2017. It’s a challenging process and it has its moments. There is a joy when you see these challenged performers across the boundaries. I also push the envelope in bringing them to a standard which will showcase their talent. Has there been adequate financial support with the rising popularity? Support is still a challenge. It’s not only for me but for many of my colleagues. Sometimes it’s a miracle, that how we artists create with practically nothing. In Delhi, I am performing a fresh piece ‘Eternal Embrace’ after four years. My other new performance with Manipuri drummers hasn’t come to Delhi yet. It’s been to all Indian cities. There are no invitations and no sponsors. It is the lack of invitation to come and showcase my work. Even in Mumbai, my home city, I only get to showcase my work once in two years. But, at least I know in two years I have a platform. I am hoping that within sometime I am being able to bring my Manipuri work to Delhi. I still face a lot of problems in India and abroad. I have a name, but it doesn’t equate into funds. I have been producing my own shows in India, but abroad they are sponsored. Sponsors believe I am expensive. But, now my canvas has grown ten-fold, so I charge for what I perform. I believe dancers are the most underpaid of artists. It is sad, that with 47 years of professional performances, I have to face all this. What are the new exciting collaborations and performances coming up? My collaboration overseas is too many. I am collaborating with Korean drummers and Mridangam drummers, that will come to India end of 2017 or beginning of 2018. I will be acting and dancing in a play ‘Hamlet’ directed by a Korean director, where I play Hamlet’s father the Ghost, that I will be performing in London. I haven’t done much acting in India; I did it in late 80s in London. I am collaborating with two dancers from Colombia College of Dance in Chicago along with two of my dancers. A Swedish choreographer Rani Nair has been looking into the archives of my solo work. We both will be performing in August 2017 in Sweden. In 2017, I will also be performing in Hyderabad, Thane, Kolkata, Seoul, New York, Sweden, Chicago, Korea and other places. 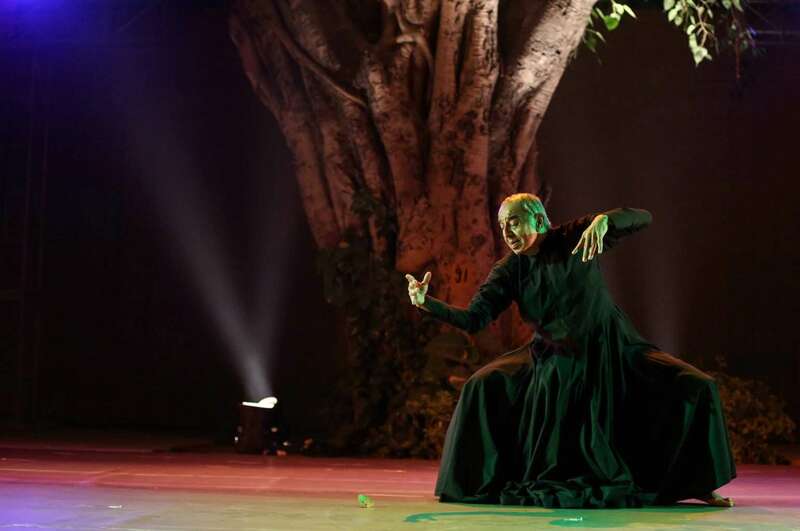 What is the inspiration behind ‘Eternal Embrace’ that premiered in Delhi at ‘The Natya Ballet Dance Festival 2016’? ‘Eternal Embrace’ is inspired by Sufi poet Bulleh Shah’s poem ‘Maati’. This particular work is collaborated with music composer Yukio Tsuji, a Japanese living in New York. This work was commissioned last year by the Metropolitan Museum of Art, New York for the Islamic wing. One has read poems of Rumi but I asked some of my think-tank what else we can do. They sent me poems of Bulleh Shah from which I chose ‘Maati’. It was premiered and was well-received. Every creation has its own time frame, that time it was a 45 minutes piece. Sometimes you create a work and with time, when you reflect back you are not happy. Yukio himself wasn’t happy with music. At times I re-visit my earlier work and I realize it was so naïve. So, we completely reworked on it with a different music. I was very keen that I share this work to the Indian audiences. It is my first 60 minute solo performance in last 10 years. I am interpreting the poem ‘Maati’, there is my style of movement, Kathak and Kathakali Abhinayam. Yukio is performing live with instruments like zither, shakuhachi flute and percussion and he also sings. There is element of annihilation in the poem. I have used his thoughts in my work. I am just expressing that there was a war that happened. It is kind of relating to today’s scenario. If you look at what is happening in Syria or at our own Kashmir problem, there is constant war happening even today.